We are pleased to announce the winner of the inaugural Tianzhu Book Prize for Excellence in Chan Studies. 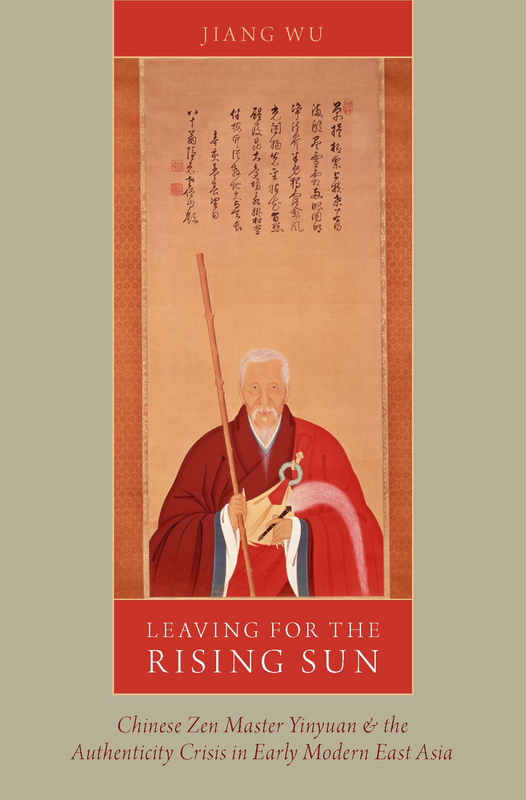 Published in 2015 by Oxford University Press, this book presents a detailed study of the founder of the Japanese Obaku school, the Chinese Zen monk Yinyuan Longqi, who is known as Ingen in Japan. Dr. Wu’s thorough study of Zen master Yinyuan and his journey to Japan provides a unique East Asian perspective to reexamine the crisis in the continent and the responses from other parts of East Asia. This book is the first full-length treatment of the founder of the Japanese Obaku School in English. The merit of this study is its groundbreaking effort to study a complex religious phenomena cutting cross both China and Japan in later centuries. It also initiates a microhistorical approach to Chan/Zen studies to illuminate the multifaceted life of a Zen master. To celebrate the award, Dr. Wu will deliver a lecture at UBC on August 12, 2018, as part of the closing ceremony for the UBC Intensive Program on Buddhism. Where: UBC Department of Asian Studies Auditorium, 1871 West Mall, Vancouver BC. Title: Dilemma and Dogma in Chan/Zen Studies: Further Thoughts on East Asian Buddhism in Later Centuries. The difficulty of studying Chan/Zen Buddhism in later centuries lies in the fact that a revitalizing Chan Buddhism does not fit in any existing research paradigm which creates hopeless dilemmas and dogmas. In this talk, from the perspective of a scholar who works on East Asian Chan/Zen in later centuries, I would like to reflect upon this situation and hope to expand our horizon for future research. I will first examine how the narrative of Chan/Zen decline in later centuries was generated and popularized in the public knowledge of East Asian Buddhism. Then, I will review the validity of the popular “constructivist” approach to Chan/Zen studies and its applicability in later periods by re-examining the debate between Hu Shih and D. T. Suzuki in the 1950s. Finally, if time permits, I will highlight some of the major characteristics of Chan/Zen Buddhism in later centuries and showcase how a new Chan/Zen historiography is possible. A report of the lecture is available here. Watch the full lecture here! 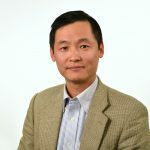 Jiang Wu is currently a professor in Department of East Asian Studies at the University of Arizona (Tucson). He received his Masters degree from Nankai University (1994) and Ph.D. from Harvard University (2002). His research interests include seventeenth-century Chinese Buddhism, especially Chan/Zen Buddhism, the role of Buddhist canons in the formation of East Asian Buddhist culture, and the historical exchanges between Chinese Buddhism and Japanese Buddhism. Other interests include Confucianism, Chinese intellectual history and social history, and the application of electronic cultural atlas tools in the study of Chinese culture and religion. He has published articles in Asia Major, Journal of East Asian History, Journal of Chinese Philosophy, and Monumenta Serica on a variety of topics. His first bookEnlightenment in Dispute: The Reinvention of Chan Buddhism in Seventeenth-century China has been published by Oxford University Press in 2008. In addition to writing the biography of Yinyuan Longqi, he is conducting research on the formation of the Jiaxing canon in late imperial China.